ASX cybersecurity play, WhiteHawk (ASX:WHK), has made two major announcements this morning as it continues to ink major contracts with top US companies. WhiteHawk — the first global online cyber security exchange enabling small-to-medium businesses to take smart action against cybercrime — has entered into a new contract to provide its 360 Cyber Risk Framework to a US top 12 defense industrial base company for supply chain risk management. This is significant news for the company, which just last month helped launch the FraudSupport.org program across the US with partner, Cybercrime Support Network (CSN). WhiteHawk is clearly invested in making the world a safer place against cybersecurity breaches and its new contract is an important step in the company's evolution in this space. The contract includes continuous monitoring, alerting and mitigation of business and cyber risks for up to an initial 40 supply chain companies in real time. The roll-out will be undertaken in two phases starting in 2018 and will continue in 2019 for a total of US$400k. The top 12 defense industrial base company (which WHK has so far not named), has an annual revenue of over $5 billion. The company contacted WhiteHawk directly to implement a comprehensive 360 Cyber Risk Framework. The contract includes provisioning of SaaS subscription, online, and consulting services for supply chain business risk awareness, alerting, and continuous monitoring. WhiteHawk will supply cybersecurity risk ratings, alerts, and continuous monitoring, cybersecurity risk profile and scorecards for an initial 50 supply chain companies in support of the customer’s current and future federal contracts. Upon completion of setup and configuration, this major US institution will have the ability to view and monitor the identified suppliers’ cybersecurity risk ratings and the comprehensive business ecosystem dashboard that includes business, technical, and security risks. “The US Defense Industrial Base is a top cyber target and its supply chain companies are often the weak link when not effectively monitored and notified of those risks and then provided enablement to address them continuously and in real-time,” said Terry Roberts, Executive Chair of WhiteHawk. WHK's announcement in early November that it had clinched a pivotal new contract with US Government departments saw its share price lift as much as 188%. That deal will see WHK provide a customised version of its 360 Cyber Risk Framework to US Government departments for real-time vendor cyber risk management, protecting against supply chain intrusions. The tech small cap has also been hard at work this month, having signed a six-month contract extension with a US top 10 financial institution for an additional US$250k. The contract includes continuous monitoring, alerting, and mitigation of the financial institution’s key supply chain companies’ business and cyber risks, across its 50 most critical sub-contractors. The initial 360 Cyber Risk Framework contract was announced in May 2018 and was for US$325k. 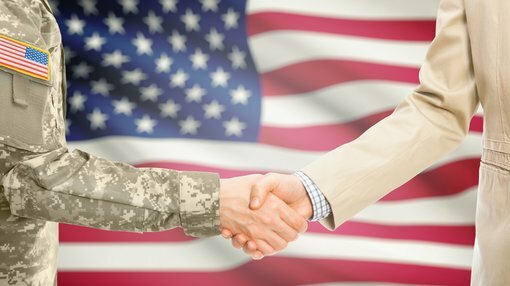 WhiteHawk's latest contract news is in keeping with the Oct 5 announcement by US Deputy Secretary of Defense, Pat Shanahan, on the critical need for supply chain resilience. WhiteHawk has penetrated the US government, US financial, US healthcare, US utilities, and now the US defense industrial base, and is looking to build in each area from the bridgehead established.